But don’t get disappointed just yet. (Were you even close?) Despite the family’s festive outfits and holiday-themed place settings, this episode was probably filmed over the summer, so it’s possible that neither [allegedly] pregnant woman was actually pregnant at the time! 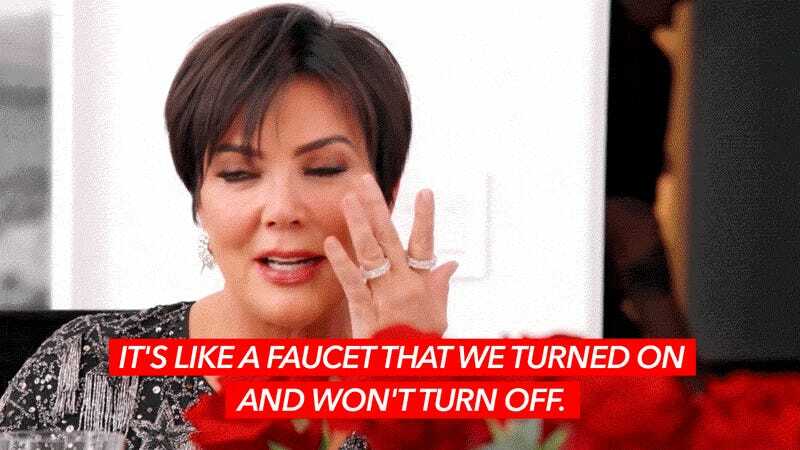 Instead, focus on the Jenner’s imagery, and picture E!-approved baby after E!-approved baby dripping out of a giant faucet every nine months, for the rest of time. No we cannot and will not talk about this!